I have a track record of working with individuals, couples, families and children. I understand that people are all individuals. I ensure that all clients are appropriately assessed so that the most effective treatment methods are used. This then ensures the best outcomes for each individual. I choose work in a quiet residential setting in order to preserve a private and calm environment. I use a combination of therapies including Hypnosis, CBT, Psychotherapy, Coaching, NLP and Emotional Freedom Techniques, amongst others. Each client is comprehensively assessed and the most appropriate method or combination of treatments are discussed and implemented. Generally clients are given work to do at home so that treatment is completed both effectively and in the shortest reasonable time. "Julie’s intuitive approach enables her to help clients to achieve a deep and long lasting change." I am a qualified Medical and Clinical Hypnotherapist and Psychotherapist. I use a combination of hypnosis, neuro linguistic programming, cognitive behavioural therapy, psychotherapy, emotional freedom technique and stress management, tailoring sessions to the individual needs of each client to ensure that the best treatment outcomes are achieved. I have worked with individuals, families and children over the last 25 years as a youth worker, family worker and in criminal justice. I have also worked as a middle and senior manager. I have recently moved to work full time in Isis and have built up a successful Hypnotherapy and Psychotherapy business specialising in a range of emotional and behavioural treatments. I have expertise in working with both adults and children. My qualifications include; Hypnotherapy Practitioner Diploma, Dip. Hypnotherapy and Psychotherapy, Dip. Neuro Linguistic Programming, Dip. HypnoBirthing, Cert. Cognitive Behavioural Therapy, Cert. Stress Management, Cert. Depressive Disorders, BA Hons. CQSW. The first appointment always includes an initial assessment and takes approximately 90 minutes, at no additional charge. After the initial assessment, sessions normally last one hour. Each client will be given a CD prepared specifically for them, designed to reinforce their treatment and will be taught self-hypnosis, if it is part of their treatment plan, so that they can continue to build upon the changes made during sessions. For all conditions there are also information leaflets provided to inform and support the treatment. Each therapy session will cost £50. A comprehensive assessment, followed by a two hour stopping smoking session, which includes a hypnosis CD and additional techniques to help you to quit, costs £125. This is a 4 session system and includes all lifestyle change sheets, unlimited email back up and hypnosis CDs after each session. There is the option of a further session to adjust the band once you have reached your goal. I am happy to offer free consultation sessions. Please email or telephone for details. The course comprises 5 sessions lasting 2 ½ hours each. You can choose from individual or group classes. 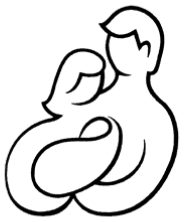 Individual classes for you and your birth partner can be held in your own home, should you wish, at no additional cost. Group classes are available in various local venues. Up to a maximum of 4 couples may attend each course. All courses include a HypnoBirthing Book, CDs, Information Leaflets and full coaching in self-hypnosis, from an experienced, qualified tutor in the original and best HypnoBirthing course. Group classes: £175 per couple for entire course and all materials. Individual sessions: £240 per couple for entire course and all materials. A popular idea is to ask friends and family to contribute to the cost of the course instead of buying gifts and clothes for the baby. Your baby will soon grow out of clothes, but you will have the benefit of the classes with you forever, including for any other births. Please contact me for details of the next course start date. I provide flexible appointment times including weekends and evenings. Flexible availability, including day, evenings and weekends.